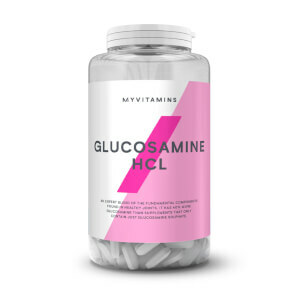 myvitamins Electrolytes tablets are a complete source of essential electrolytes that can help to replace stores in the body. It contains 5 essential minerals, including potassium, chloride, calcium, magnesium, and sodium, which help to keep us hydrated. Hydration is important when 60% of our body is made up of water and our skin is 64% water. Why Use An Electrolytes Supplement? Staying hydrated is important, but we can drink lots of water and still be dehydrated if we haven't got the right salts in our body. These salts are also known as electrolytes, which we must replace to keep hydrated. What Works Well With Electrolytes? Staying hydrated with the right balance of electrolytes can help to retain water in the cells in our body, including in our skin. Collagen is another component that is needed in the cells of our skin. Restore your natural collagen levels with our Coconut + Collagen supplement. For optimal intake, our experts recommend taking two tablets once a day. Sodium Chloride, Bulking Agent (Microcrystalline Cellulose), Potassium Sulphate, Calcium Carbonate, Magnesium Oxide, Anti Caking Agents (Magnesium Salt of a Fatty Acid, Silicon Dioxide), Glazing Agents (HydroxyPropyl MethylCellulose, Glycerine, Carnauba Wax).